Front width: 15 1/4 in. Rear width: 15 1/4 in. The perfect fireplace isn't the perfect fireplace without the G Series Franklin 15 1/4 in. 'Flat Bottom' Cast Iron Fireplace Grate. Let's face it, it doesn't make too much sense to have a beautiful fireplace and have a bunch of logs burning on the fireplace floor. This cast iron log rack eliminates those problems. The cast iron grate is not only incredibly durable, but it also retains the heat of the fire much better than other metals and resists damage better over time. The fireplace grate elevates the wood creating ventilation for a smooth-, safe-, and hot burning fire every time. Besides all of that, though, this fireplace grate looks spectacular in the fireplace when you don't have a fire going. There are lots of reasons to love a great fireplace grate. From the health of your fireplace to the visual appeal it provides, the G Series Franklin 15 1/4 in. 'Flat Bottom' Cast Iron Fireplace Grate answers every question a discerning homeowner could ask. Unfortunately, I don't have one that will be that deep at that width. I apologize for any inconvenience. I have a gel fuel fireplace/entertainment center, the logs sit on the floor of the firebox and this doesn't look very realistic. The cans sit in holes behind the ceramic logs. The firebox is 9" deep and 18" wide, would this grate work to hold the logs for a more realistic look? The grate might be a bit large for that opening as they are typically meant to be sized down by 6" on the back and front width from your fireplace opening. You want to make sure that it will not overlap your gel canisters either. The specifications list the height of this G Series Franklin 15 1/4 inch Flat Bottom cats iron fireplace grate at 5". Is that to the top of the unit or the height of the legs? The leg height on this grate is approximately 2 inches, with an overall height of 5 inches. What is the height of the legs? Per the manufacturer, the leg height on this grate is approximately 2 inches, with an overall height of 5 inches. Please keep in mind that individual castings can vary by approximately 1/4 inch. My family has searched for a replacement grate for a year to fit our Buck fireplace, it took me about 15 minuets to find you. After contacting the manufacturer I was informed that they no longer supply this style. I found this on your easy to use website checked the dimensions and placed the order, you shipped the next day and when I received it in record time to boot it fit perfectly. I have owned several fire grates and this one is by far the best. Small pieces of wood and coals do not fall out the bottom or the sides, helping fires burn much longer. High legs provide increased airflow. It's a very sturdy, high quality grate and I highly recommend it. This is for a small woodstove that needs some help and it works perfectly. Just needed to get the wood up to let air circulate and now it's more efficient. Great Experience.... from first call to CS to the first fire. The Customer Service Department was helpful and courteous. The Shipping time was excellent and our first fire with new grate showed a superior product. Had to redo gas log starter and raise 1/4 inch. Legs could of been a little longer. I was glad to find this size. I have not used it, yet... Will let you know! I was pleasantly surprised at how well-made this grate is and it is sturdy, heavy cast iron. It fits my fireplace beautifully (I measured before ordering) and it draws efficiently. I am more than pleased and will use eFireplaceStore again. This grate is a much better grate than the one that came with out Heatilator as well as being considerably cheaper than we could find in the Knoxville area. Combining it with an extended chimney pipe got us free shipping which REALLY made it a bargain! Very well made item and fits perfectly in our fireplace. Easy transaction. Super fast shipping. Exactly what I needed. Fits perfectly and arrived in a timely manner. The grate I had allowed all the embers to fall through and my fire would constantly go out. This grate allows the red hot embers to stay in contact with the firewood and keeps the fire going. Looks great in the small fireplace and I can't wait to use it. Shipping was also extremely fast- I'm pretty sure I got it the day after I ordered it! Well constructed. Made to last. I'm thrilled with purchase. Smooth edge can be welded to decorative front. My fireplace looks more like it is supposed to. After looking on the internet for a replacement grate for my wood burning stove, I came across this seller. The one I bought was the best fit to replace the original one. Measurements were accurate and shipping was fast. Due to the "spare the air days" and the unseasonably warm weather, we have been unable to have a fire since we received our grate. However, it is quite substantial looking and I expect good service from it for many years. I was so surprised when the fire place grate arrived to promptly. It is a perfect fit and we will use the fireplace begin this morning as we begin another spell of cold weather. Item was delivered as promised and also perfect for my fireplace. We love it the very best grate we've ever owned! Needed a new grate and only found cheap ones at local hardware stores. Decided it was worth spending the extra dollars for. Definitely a good buy! Ordered several items and all items ordered were just as they were described! Great products at great prices! The fireplace grate is perfect! I have an house that was built in 1840 and the fire place is long but shallow. I could not find a grate anywhere to fit this until I ran across your ad on the web. thanks to your company. I have a fab grate and get to enjoy my fires year to come. This Fireplace should last a lifetime. It is solid with no welds, very sturdy. The grate is well built and appears to be very durable. It is a replacement for a similar item that lasted 5 years of heavy usage. I feel certain that this unit will do equally as well. ProsQuality materials, heavy construction, and well finished. The unit shipped promptly, was well packaged, and was delivered when promised. It is the most efficient grate we have had. It burns more efficiently. I love it. ProsIt is a wonderful grate. Am going to order another one for our other fireplace. Cast iron is the best grate to buy. We have a small, double sided glass fireplace and this fits perfectly inside. It's definitely a heavy, sturdy piece that will last for years to come. Starting a fire is a cinch with this and I'm convinced it even helps them burn more evenly. I would suggest using Duraflame logs, as standard wood logs were a bit large for the basket. First-time wood-burning stove user and happy w/this purchase/price! Exactly what we ordered, is what we received! This was one of the easiest purchases I ever completed on line. Navigating through website was a breeze, notified when item was shipped and received; could not have asked for more! ProsExcellent website, easy to order items. For over a year I have been in search of a product like this, and I am happy to report that it has lived up to what I had hoped. It was reasonably priced and arrived very quickly in the mail. 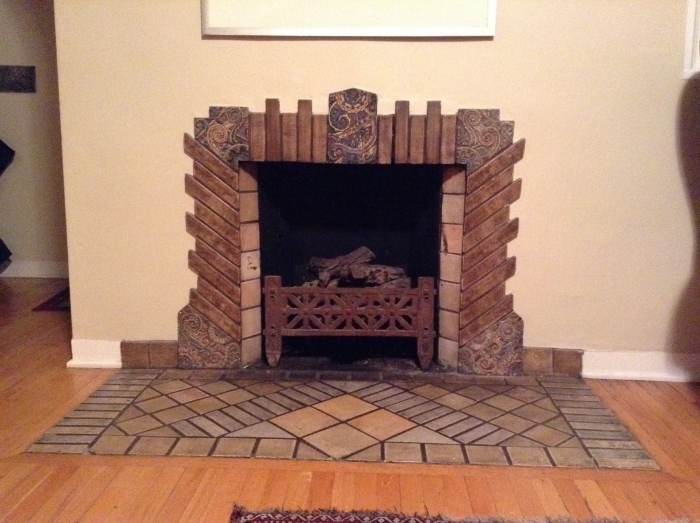 I have an old fireplace and had a hard time finding a grate that will fit. This item fit perfectly! We have always had a problem with fireplace wood burning insert, Black Bart for 35 years. It will smoke into the room if you take too many ashes out, or if the air is still outside, or just because it wanted to. We were constantly having to poke the fire to keep it burning hot enough to not smoke into the room. I bought this 22 inch grate and removed the old fire logs and find this grate to be AMAZING. You light your fire and get some good embers going, place in 3 pieces of wood, leave the drafts open 5 min, then close down the drafts. No more poking your wood EVER until it's time to add 3 more pieces of wood. NEVER add just one piece, I read that on the internet somewhere and its true. When you add, add 3. Just don't wait until your embers die down too low. If they do it can possibly smoke some. You have to cut your fan down at that point and open the draft until the wood burns hot with a flame if embers are about gone. Removing ashes is easy, just tilt the grate up with one hand and scoop out with the other. I keep an old pot holder handy for that and for the door when its hot. There is a picture of my Black Bart insert you may find under questions and answers section. ProsLove it, love it, wish we'd had this grate years ago! Ordered online and rec'd within 3-4 days. Grate replaced one I've had for years which had burned out. (All will in time) Grate allows all wood to burn up w/o lying in ashes and going out. We bought this grate to replace the generic one that came with the house. We had serious issues get fires to start, burn, and not fall apart or through the grate. This has changed all of that! We have consistent fires, it's well built, it looks perfect in our particular setting, and it arrived very quickly! Overall, we're very happy with our purchase! 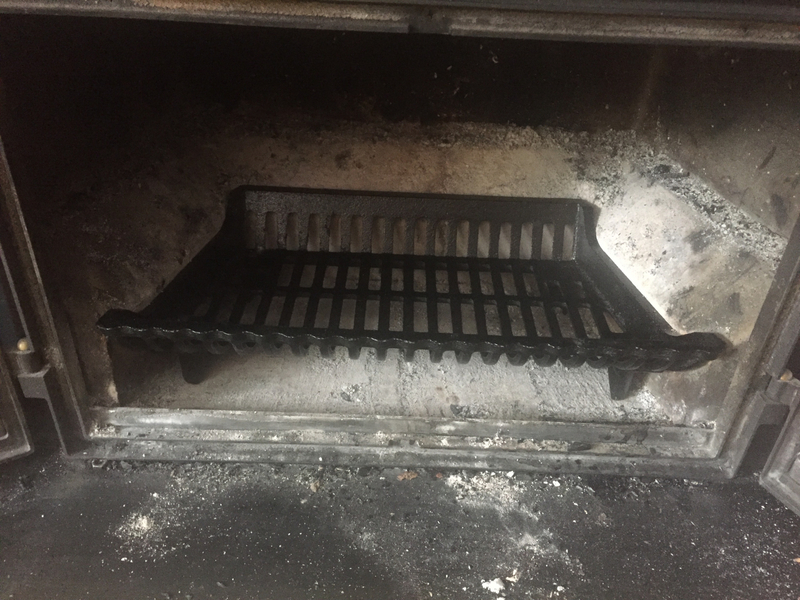 The fireplace grate for our Franklin free standing fireplace had deteriorated and so we replaced it with this HYC-G17 flat bottom cast iron fireplace grate. When I removed it from the box I new it was the grate I needed as it was exactly what was replaced. 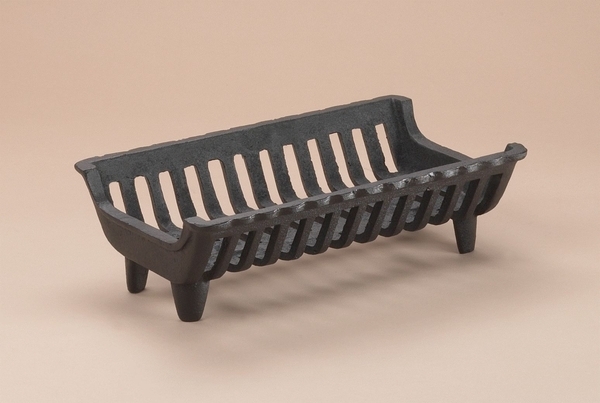 I would recommend anybody with the G series Franklin 17" flat bottom cast iron fireplace grate to buy this item for a replacement grate when a new one is needed.